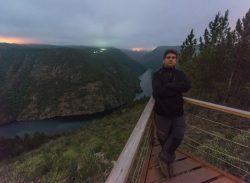 Daniel Llamas, Daniel Lois and Alberto Pereira form Enfoque Nocturno, reference collective in Galicia for nightscape (astrophotography landscape). To be a group of photographers makes us different, our range is much wider; we have 3 very different points of view that allow a healthy interaction between us to reach more complex and complete projects. We are self-taught; we carry a lifetime devoted to photography and more than four years specialized in night and low-light photography. As individuals we have participated in many seminars, both technical and creative. 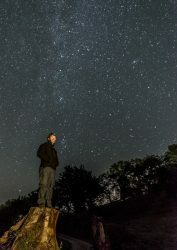 Taught courses, workshops and masterclass about night photography. Organized photographic events with impact on regional communication media. Collaborated with international photo agencies. Exhibited in rooms throughout the entire spanish territory. Participated in conferences of national and international photography; highlighting participation in the II International Congress of documentary and nature photography Beautiful Planet, in which shared their knowledge members of National Geographic as Leandro Blanco and Francisco Mingorance, as well as other reputable professionals as Enrique Pacheco and Daniel Stoupin. Of course we are present in various social networks and our photographs have great impact on them, reaching the highest ranking worldwide. Here you can find links to personal 500px Daniel Lois and Daniel Llamas. As a group we are part of Expofoto project, and participated as speakers in its five conferences. 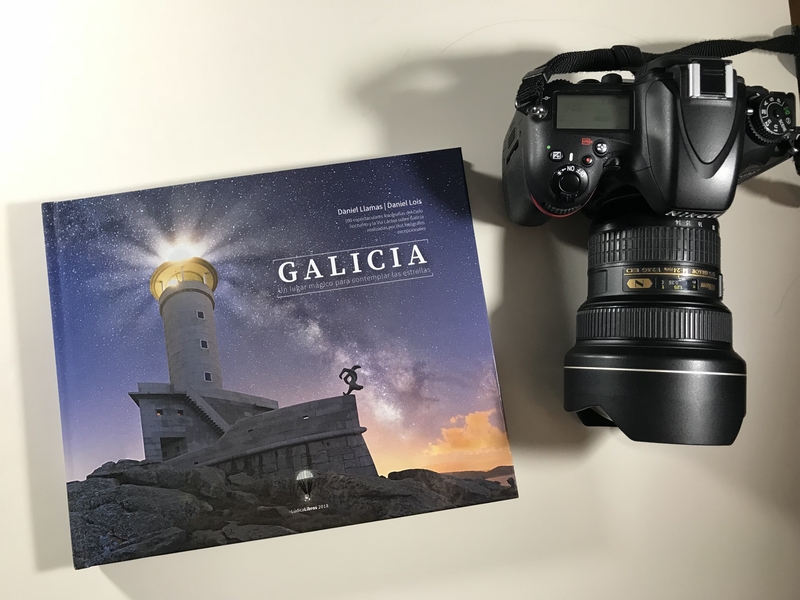 We provide training workshops; basic and advanced, collective and individual; on astrophotography, night photography, long exposure and landscape. We perform masterclass and presentations and, in general, we organize and participate in any activity that allows us to promote night photography, vindicating the beauty of our land or defense of the night sky. We also participate in photo contests. Only in 2.015 we have get 10 finalists, with night shots, in national and international competitions; highlighting 3 silver and 1 bronce at The EPSON International Pano Awards 2015. This year has been even more successful, we achieved 2 finalists at the 26th Memorial Maria Luisa, a great internationally reference; 4 finalist in the 2.016 Panobook Kolor that will be part of a book containing 150 panoramic best of the year; 6 finalists in the prestigious international exhibition Trierenberg Supercircuit; 6 finalists and a silver medal at the VII International Photography Contest Sant Just Desvern; 3 finalists in the V International Salon Photographique Le Catalan; and 1 finalist at XVII Concurso Estatal de Fotografía Legazpi Hiria. If you are interested in hiring us, offer suggestions or propose a project collaboration; You can contact us here.